The UN-brokered Tripoli ceasefire agreement began to solidify from 24 September when side agreements by various actors, notably between Tajura and Souq al-Juma power brokers, succeeded in freeing prisoners from both sides, halting the clashes. 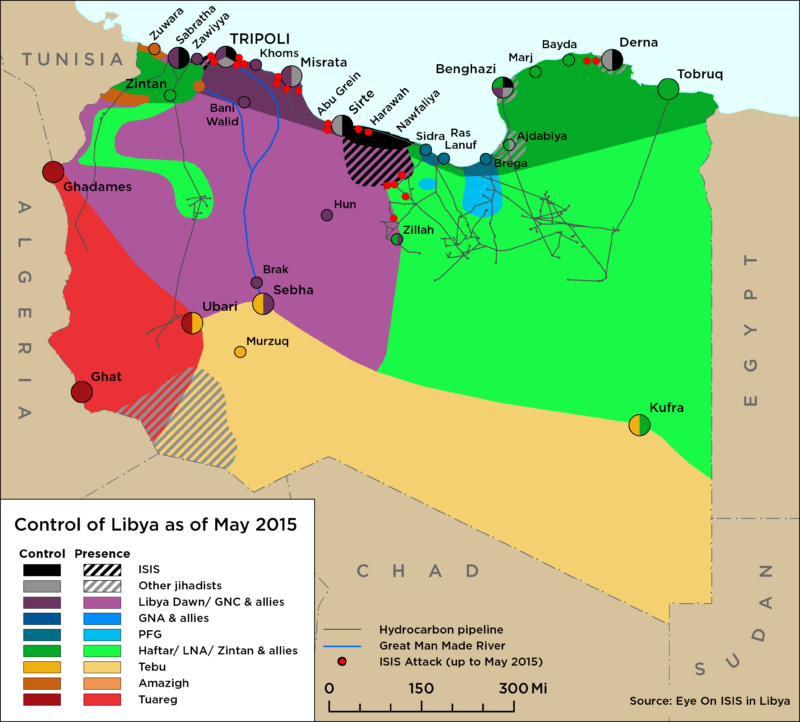 This forced armed groups from Tarhuna (7th Brigade) and Misrata (Salah Badi) to withdraw hurriedly on 25 September, while the Tripoli Protection Force (TPF) – an amalgam of the five main Tripoli militias – regained control of South Tripoli and reopened closed roads. Security arrangements are now being redrawn in the capital by the Government of National Accord (GNA)-created and the UN-facilitated Security Arrangements Committee of Greater Tripoli, between the local Tripoli armed groups and military forces from the Western (led by Zintan) and Central (led by Misrata) military regions. In light of this the GNA Local Government Minister will host a large meeting of municipal mayors on 2 October to discuss decentralisation and the devolution of security functions to municipalities. On 28 September, clashes between Libyan National Army (LNA) aligned Sobol al-Salam militia from Kufra and Chadian militants members occurred near al-Jaghbub, 280 kilometers south of Tobruk near the Egyptian border. Six Chadian militants and two Sobol al-Salam militia fighters were reported killed. The LNA’s Kufra Military Zone published photos online of the dead Chadian militants accusing them of smuggling, kidnapping and other criminal acts. The military zones spokesperson, Miftah Bouzi, said four armed cars were also seized in the incident. 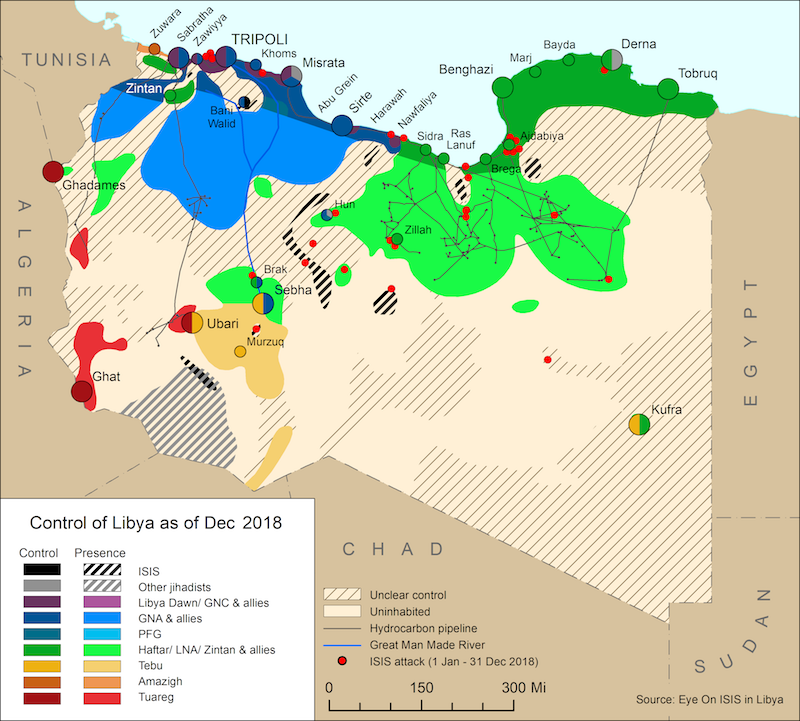 On 29 September, clashes occurred between a Chadian rebel militia and Sebha Joint Security Room at Gaboroun Lake on the outskirts of Sebha in southern Libya. One person was killed, commander Younis Bousuba, while several others are said to have been injured. Gabrouna lake is a well known tourist location.